NAFTA negotiation is rolling at breakneck pace. What can we do to raise the profile of how NAFTA has impacted workers and immigrant workers in the U.S., Mexico, and Canada, and to demand a new NAFTA that works for all of us? 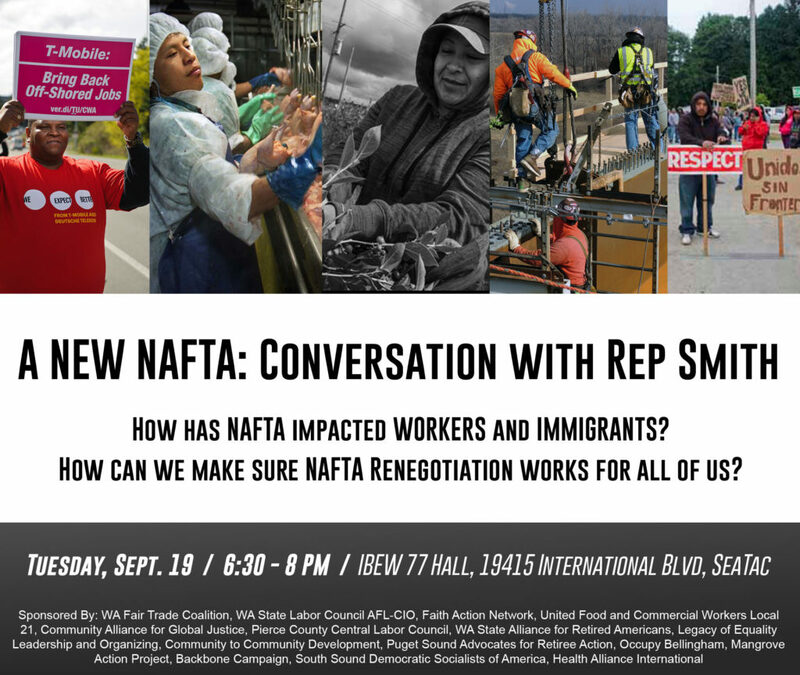 Join the Washington Fair Trade Coalition to hear the testimonies of community members and advocates who have been impacted by NAFTA, and to send back to D.C. our priorities for a NAFTA replacement that works for all people!